I was very sad to hear that Gösta Bruce, the President of the International Phonetic Association, died on Tuesday evening, after a short illness. He was only 63. Gösta Bruce was professor of phonetics at Lund University, and was well known internationally for his research in the field of prosody, and in particular for his description of the intonation of Swedish. As is well known, this language has two word accents (tonemes). They interact with the sentence accents and boundary tones in interesting ways, which Gösta described in his 1977 doctoral dissertation Swedish Word Accents in Sentence Perspective. He was a brilliant scholar and a lovely person. We knew he was ill, and in hospital for cancer surgery, and had to miss this year's Swedish Phonetics Meeting last week, that it had been his and the Lund department's turn to organise. We were shocked to learn of his death just one week after the operation. The funeral will be on the first of July. 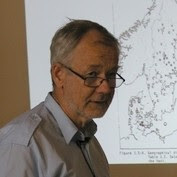 The methods and analysis in Gösta's Ph.D thesis made possible the current scientific theory for intonation systems in English and many other languages. He was a true friend to younger people in the field. It is very hard to know that we will not have any more conversations with him. I was lucky to have been one of his students this year, and am still only learning what a great phonetician (and no doubt a great person) he was. I just learned of his passing, and wish to offer my sincere sympathy to those who knew him and loved him. This site is overwhelming. I can get idea within my topic. to become the Best Dissertations.